Book release is March 19, 2019. Click here for more details. “Mom’s Favorite” [l. to r.] Actors Lisa Marie Parker-Campbell, Nicole Jacobs, and Ashley Berryhill; Director Fred Western; Playwright Nicole L.V. Mullis. Nicole L.V. Mullis, as part of SagaPresents, joined a new cohort of storytellers, for Athens’ first storytelling concert. She also worked as a coach and facilitator for the event. The response was truly a “Great Moment”. Life throws surprises to us all. Nicole L.V. Mullis joined a new cohort of tellers who shared stories of times they’ve been surprised or maybe acted as agents in surprise. All stories were true, personal and told live. Edmonds Driftwood Player’s 8th Annual Festival of Shorts: Did You Find Everything OK? Nicole L.V. 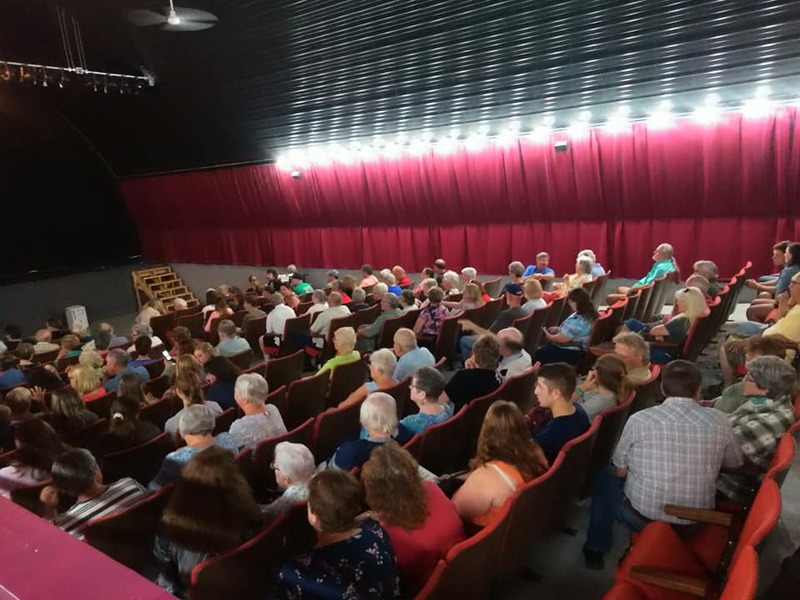 Mullis’ ten-minute play “Did You Find Everything OK?” was one of eight finalists from around the country for the 8th Annual Festival of Shorts. Her play won Friday’s night’s Audience Choice Award. 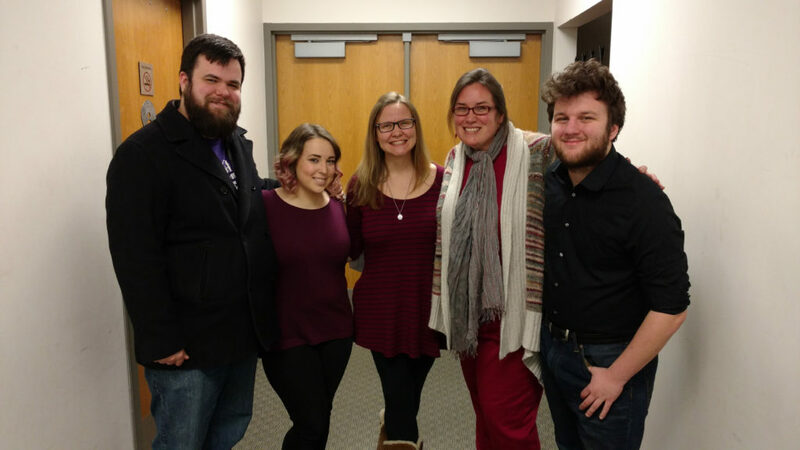 The cast of “Did You Find Everything OK?” directed by Andrew Ryder: [l. to r.] Scott Mullet, Rita Baxter, Sydney Kaser, and Melody Mistlin. Not pictured: Nate Thomsen. Photo provided by Edmonds Driftwood Players. Nicole L.V. 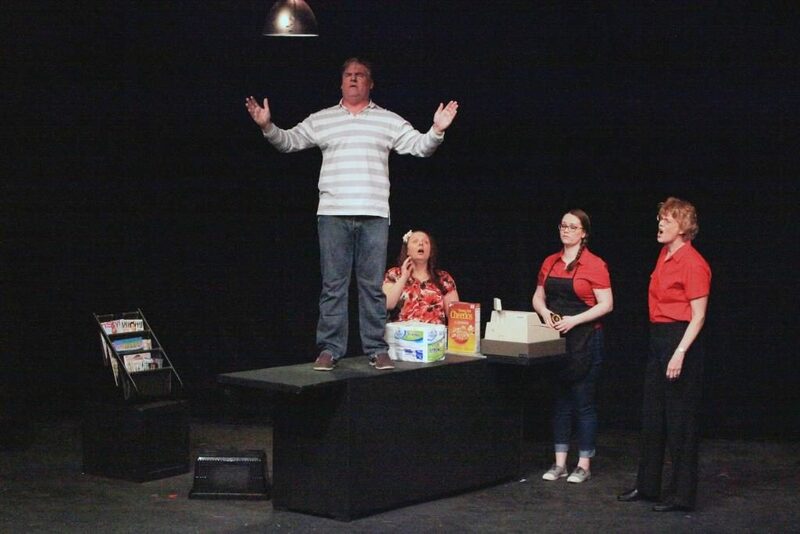 Mullis’ ten-minute play “Red Sauce” was one of eight short plays by local writers, produced by TK Member Theatres for the 7th Annual Theatre Kalamazoo New Playfest. The festival also featured a new work by Michigan playwright Emilio Rodriguez. “Red Sauce” director, writer and cast. [l. to r.] Director Ethan Waldron, actress Kellie Anne Dugan, writer Nicole L.V. Mullis, actress Sarah MacLean, actor Zach Husak. Nicole L.V. Mullis joined new and returning storytellers in this fourth installation of Battle Creek Enquirer’s Mosaic Storytelling Showcase. The theme was animals and the stories were wild. Nicole L.V. Mullis joined new and returning storytellers in this third installation of Battle Creek Enquirer’s Mosaic Storytelling Showcase. The theme is memories and the stories were memorable. 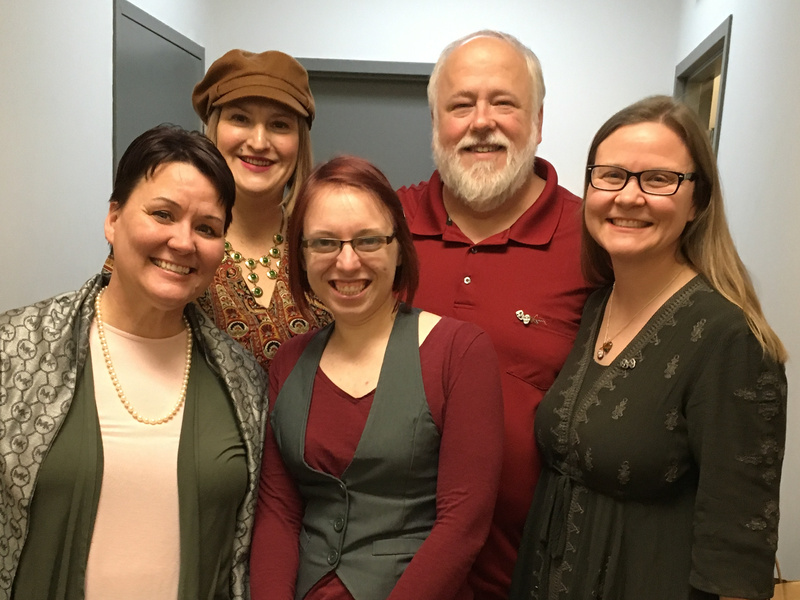 Battle Creek Books hosted national bestselling author and award winner Bonnie Jo Campbell, area artist, historian and author Kurt Thornton, and local author and well loved columnist Nicole L.V. Mullis. Nicole L.V. Mullis joined a new crew of storytellers in this second installation of Battle Creek Enquirer’s Mosaic Storytelling Showcase. The theme was food, and the stories were the equivalent of a Thanksgiving feast. Nicole L.V. 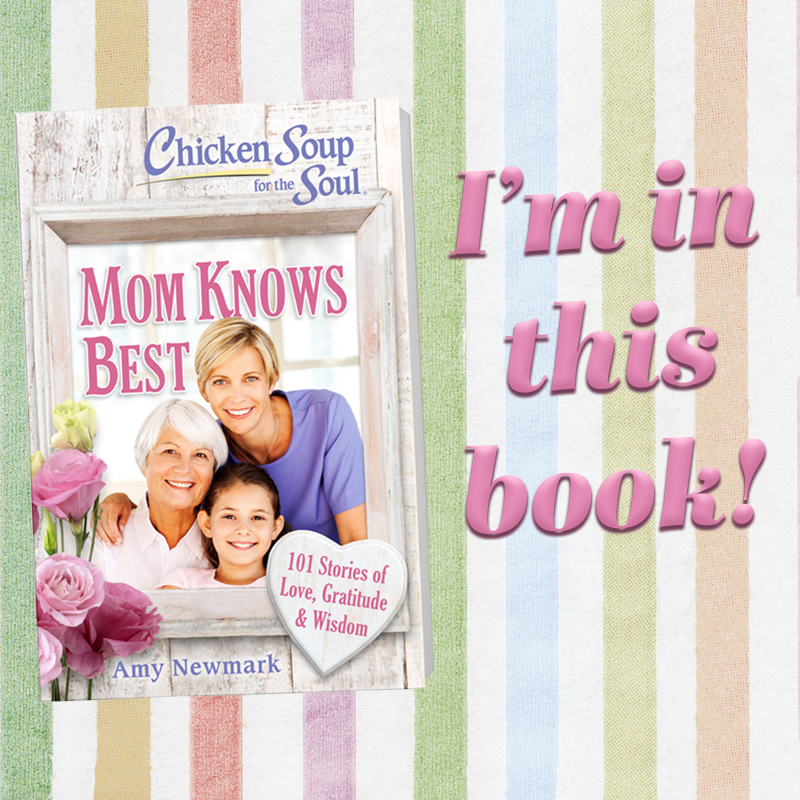 Mullis read her essay as well as other excerpts from Chicken Soup for the Soul: “My Very Good Very Bad Dog”. Specials guests included the very good, very adoptable Sasha, as well as representatives from Humane Society of South Central Michigan. Battle Creek Books will continue to donate a portion of the book’s sales to the Humane Society.